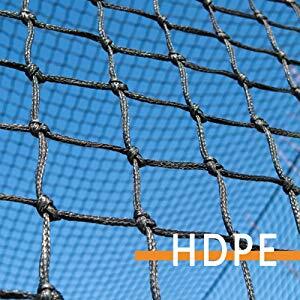 Usually, twisted knotted baseball backstop nets are made from HDPE and nylon. Nylon black nets could be coated with tar so it is UV and Weather Treated to last outdoors. Nylon has excellent resistance to abrasion, and outstanding overall durability. 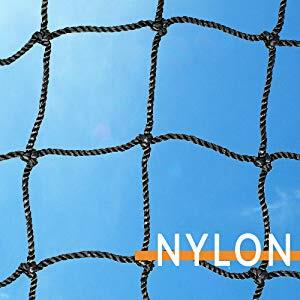 Twisted nylon netting is one of the most common and versatile types of netting used. It is very strong, easy to work with, easy to repair, and is resistant to most chemicals and water.